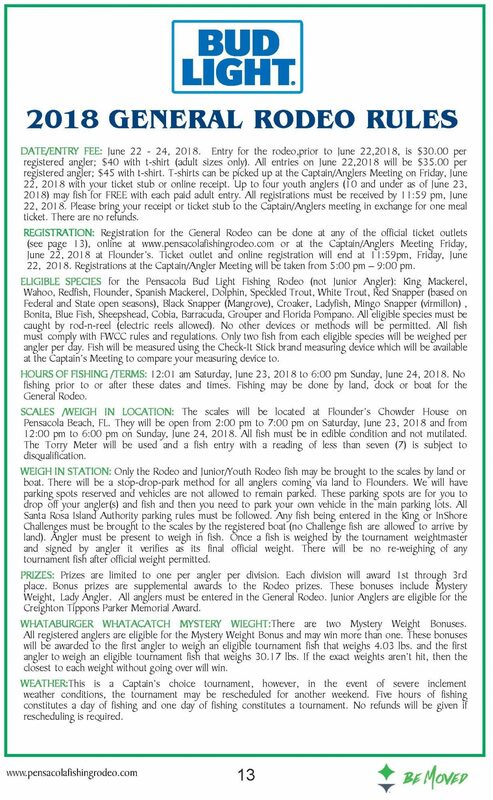 This year’s Bud Light Fishing Rodeo will take place June 22-25, 2018. Cash awards and prizes await the angler who weighs in the top three fish in 20 different species. 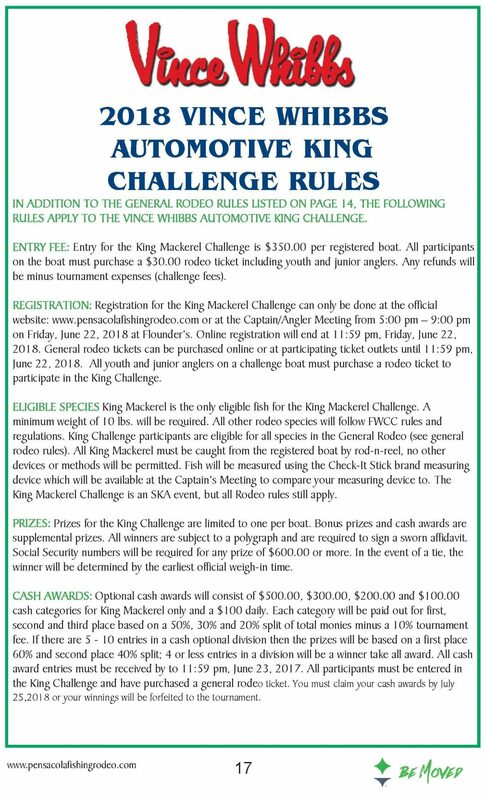 In addition to the rodeo, there is the Vince Whibbs King Mackerel Challenge with separate buy-in and cash and prizes awarded to the boat that brings in the biggest king mackerel. 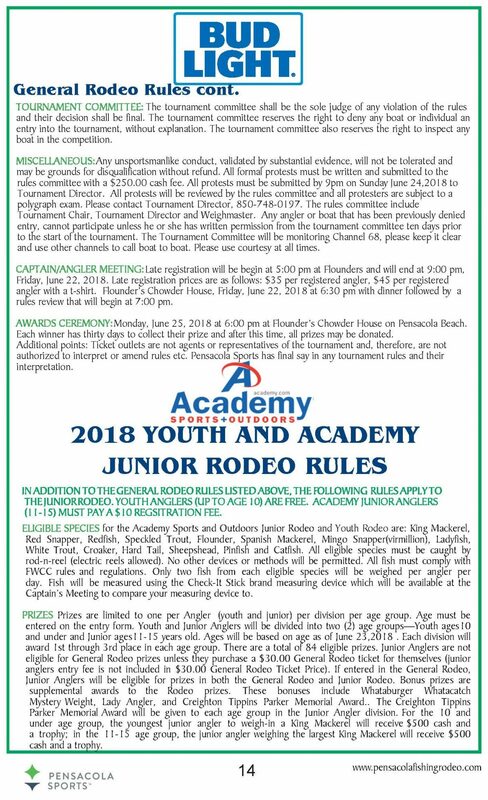 There is also the Synovus In-Shore Challenge and the Academy Sports and Outdoors Junior Rodeo. NEW THIS YEAR – There are new boundaries for the Synvous In-Shore Challenge – the Highway 59 Bridge in Orange Beach is the west boundary and the Mid-Bay Bridge in Destin is the east boundary. 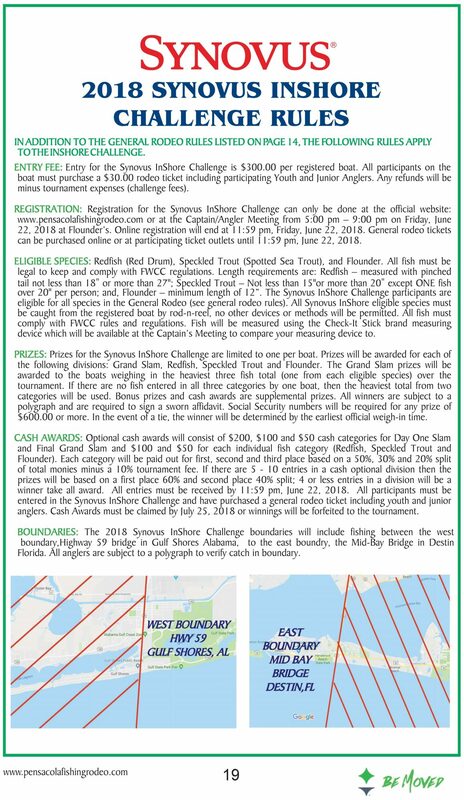 All boats participating in the In-Shore Challenge must catch their fish (red fish, trout, flounder) within those boundaries to be eligible for prizes. A polygraph test will be administered to the winning boat. Tag your instagram photos #pensacolafishingrodeo to see your photos on our site!